Kennel facilities could be the perfect solution if you are off on holiday and cannot take your dog with you. Many kennel businesses around the UK now operate more like luxury hotel accommodation for your pet, where your dog can enjoy his or her own heated room with sofa, bed and 24 hour access to an outside run. If your dog prefers the company of others you can request they share their accommodation with another guest to keep each other company. Placing your dog in kennel facilities will give you a worry free holiday knowing they are in a safe environment being looked after by professionals. 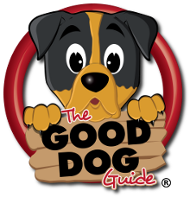 We advise you ask to view the accommodation where your dog will be staying and fully explain their daily routine with the staff who will be looking after them.